Bar owners, restaurant operators and hopeful entrepreneurs, rejoice: you can now win your very own self-serve beer tap system. 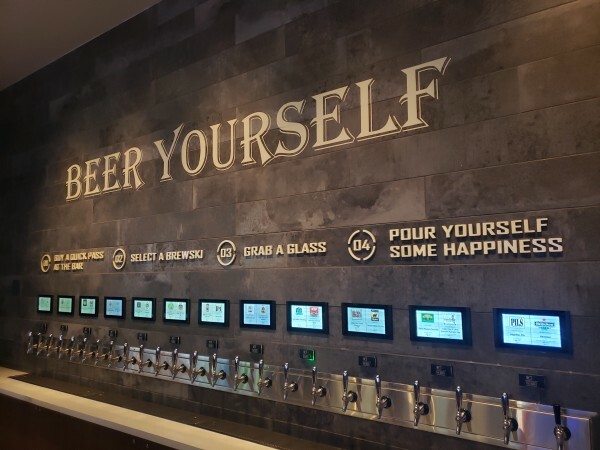 Before we get into the details, let's first discuss what self-serve beer is - you may or may not be familiar with this technology, as there are only a few hundred bars and restaurants across the country that offer self-pour, but it's growing in popularity. Self-pour beer systems allow patrons to pour their own beer, at their own pace. Taps are activated through individual RFID cards, which charge guests by the ounce depending on how much they pour. Most self-pour locations still have bartenders on hand to answer questions and give recommendations, but it helps cut down on wait time and is generally just fun for guests to experience. Self-serve systems can dispense any type of drink, including mixed drinks and coffee or kombucha, but you just can't beat a bartender's hand-crafted cocktails so they do have their limits. For bar operators, self-pour systems mean increased beverage sales, since each ounce of the keg is accounted for by a paying customer. Samples and tastes cost just a few cents, but it adds up over time. 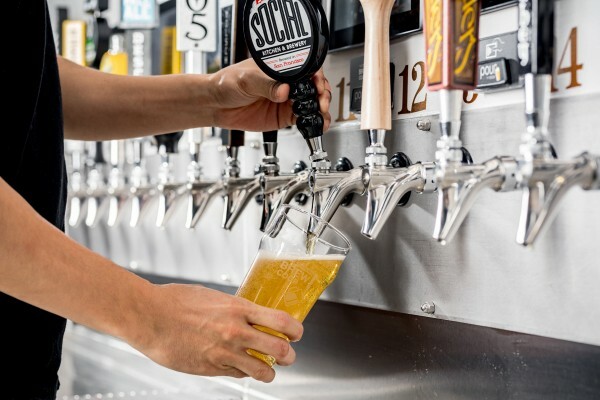 Guests don't mind the small charge to sip a few craft brews before committing to a full pint, and owners save about $140 per keg on average, according to self-serve industry leader PourMyBeer. So does that sound interesting to you? Good news, you can get your very own! The aforementioned company, PourMyBeer, is giving away a complete 30-tap self-pour system - the technology and the dispense equipment (thanks to help from their partner Micro Matic) - so one lucky winner will get this for free. This is a perfect contest for bar owners, brewers, brewery operators, restaurant operators or just hopeful entrepreneurs who have a dream of opening a taproom but need a little help or motivation. The company is calling the contest the "Million Dollar Self-Pour Giveaway" as a nod to the $1.1 million in potential revenue that the 30-tap system can bring in for a location. You can enter now through mid-June at MillionDollarSelfPour.com, or nominate friends and family who deserve this awesome prize. Freelance writer covering food & beverage, travel, tech, and badass female founders. Cheers!